Shilpa looked elegant in an orange saree. Shilpa had her hair tied in a bun and she happily smiled for the shutterbugs. 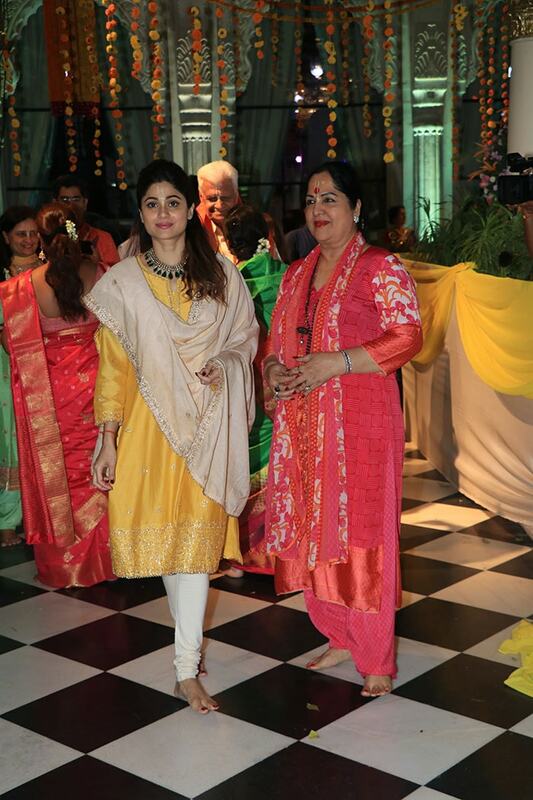 Shilpa's sister Shamita Shetty and their mother Sunanda Shetty were also spotted at the temple. In another part of the city, we spotted Khushi Kapoor. Khushi looked pretty in a red dress. Meanwhile, Gold actress Mouni Roy was photographed in another part of the city. She looked chic in a black top and a pair of quirky pants. Abhishek Bachchan was spotted at a friendly football match in Mumbai. Ranbir Kapoor was also present there. In another part of the city, we got a glimpse of Dhadak actor Ishaan Khatter.